Since Grammarly has become very popular for writing flawless content, many of you’re interested in having the Grammarly paid version to unlock its ultimate power. And, when someone intends to buy the Grammarly premium version, s/he asks the common question: how much does Grammarly cost? To give you a clear idea about this, I’m gonna talk about the Grammarly pricing in this post. First of all, I should let you know that Grammarly is a free tool though it unlocks some exciting features when you buy the premium plan of the tool. That’s why many satisfied users of Grammarly free plan wanna upgrade it to the premium one. So, why use the Grammarly Premium? There are several reasons for using the premium plan of Grammarly and I’m going to tell you most of them now. The free version of Grammarly is okay to check several kinds of errors in your writing, but the premium version comes with the ultimate power of the tool. Yes. It servers 250+ grammatical corrections with its paid version. So, to enjoy the complete power of Grammarly, you have the only option to buy the premium version. Grammarly is an all-in-one tool as the plagiarism checking option is also included in the premium version of the tool. Unfortunately, Grammarly free plan doesn’t offer this essential feature. The free plan can’t be used with Microsoft Word. You’ve heard that Grammarly is usable side by side with MS Word, but it’s possible only with the premium version. Not all types of writing are the same, so a grammar checker should adapt to several kinds of documents. The paid version of Grammarly supports over 30 kinds of documents. So, other than blog posts and emails, you can use the digital eyes of the tool to proofread many other types of docs. If you wanna avail the human touch to support you, then the premium plan of the tool is perfect for you. You can reach out to the language expert to connect with them through either phone calling or emailing. And, all these support facilities are available for 24 hours daily. If you’re still confused whether to use Grammarly premium or not, your confusion will be removed now! This is because Grammarly offers 7-day money guarantee. They’ll refund the full money that you spend on buying the paid version if you’re not satisfied with their premium plan. But, you need to claim it within the first 7 days of your purchase the premium plan. So, you can start using Grammarly premium because you’ve long seven days in your hand to ask for a refund. Learn: How to use Grammarly? So, how much does Grammarly cost? There are three different Grammarly plans available depending on the type of purchase. If you go for the yearly purchase of the premium plan, then you can save the most. 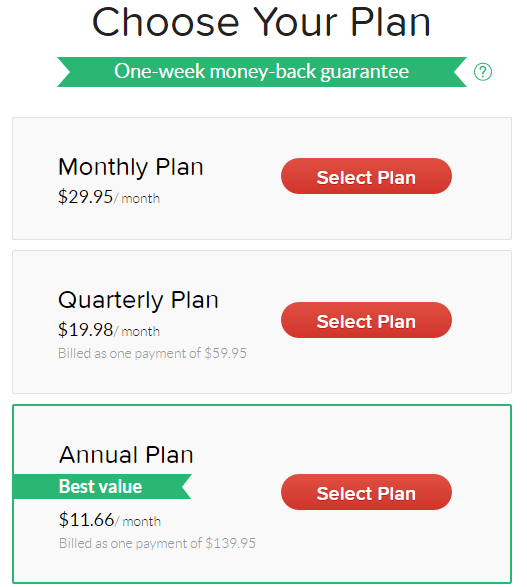 You’ll just need to pay $11.66 if you buy the premium plan for a year. Grammarly costs just $139.95 per year. Then, the purchase of the premium plan on a quarterly basis can also save some, but obviously less than the annual purchase. You’ll need to pay $19.98 if Grammarly quarterly plan is purchased. And the purchase of the plan on a monthly basis is very disgusting as it costs $29.95 per month. First of all, visit Grammarly (use the given link) and sign up or log into your Grammarly free account if you have already signed up. Hit the button and it’ll open up another web page on which you’ll see the different plans for different periods of purchase. You have two options for paying the bill of Grammarly premium plan. So, choose either VISA or PayPal as the payment method and put all the necessary information in the respective boxes shown above. Once you fill up the form with all the correct information, now is the time to hit the “Submit” button. Wow! Amazing! Your premium plan has been bought. You’ll get an email to your inbox stating the billing info with proof. So, these are the easy steps to buying the premium plan of Grammarly. You can see that Grammarly price is reasonable when it comes to purchasing the plan for a long period of time. Buy your preferred plan as per your choice. From the above in-depth review of Grammarly pricing, I think that now you can take the decision whether you’ll use the tool or not. You can see that the tool can check grammar, spelling, punctuation, and plagiarism related issues from any text. So, what else you can expect from a tool? The only lack of this great tool is that it doesn’t offer offline use, but I think that in the era of the internet, you shouldn’t think of anything that comes without the internet. So Grammarly can be a great companion to anyone who wants to have grammatically correct texts when they write. Grammarly is a tool for checking grammar. The free version is okay to check errors in your writing. But the premium version comes with a full features of the tool. If you use the premium version, then you have to pay. But I think, free version is the better for the first user. Hi Ankur, your thoughts are correct regarding Grammarly! I’d like to use paid version, but the price is too high for me. Is there any possibility to get plagiarism checking option on free version? I don’t have VISA master card of PayPal account. I have payza account. So, how can I get paid version? No, the free version of Grammarly doesn’t offer the plagiarism checking option. You can try with Payza. At first thanks to you for giving above the post. This post is very important for correction any grammatical wrong english documents. This post reading we know what is grammarly cost, how can use it free or paid money. We also know reasons for upgrading free premium plan. You have shown the premium version of grammarly cost flowing for we can choose any plan and how can payment money for any kinds of plan. So, now we easy to understand, how much does grammarly premium cost ? and how can payment it ? I hope that you could overcome many of the grammatical flaws that you make while writing just by using Grammarly. I have read your web page titled `SMN POST be a smart ontrepreneur` . This is indeed a recent invention in digital era. One who have lack of knowledge in english language can enhanch his linguistic knowledge. With the help of this tools may be rectified one`s word spelling, pronunciation, grammarial mistakes on his english texual context. Also if any plagiarisim that is one kind of copy and paste is adopted from any web page will be detected . 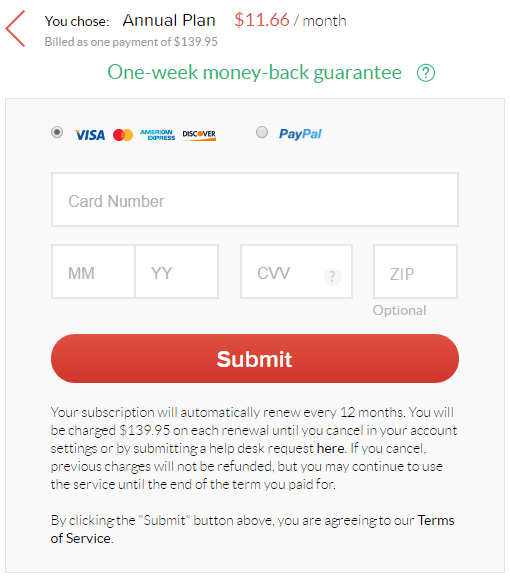 At the low priced cost of $11.66/month for yearly plan displayed , subscribers can take the opportunity from this online checker and proof reader. Grammarly annual cost plan is very exciting & advantageous than other cost plans. If the cost rate is half of recent rate, many of free version users like me will agree to use premium version. I expect to Grammarly authority that unlock the option of checking plagiarism for free version. Hope Grammarly pay heed to your expectation. I have known something from your blog post about Grammarly premium cost. Grammarly is very important and essential tool that we can use for checking grammar. It has two versions that the first of them the free version and another is paid version. I think the paid version of Grammarly is more helpful than the free version. we can know how to find sentence structure and writing style. We can also know suggestion about use effective vocabulary. We can be used Microsoft word directly. 24 hours & 7 days help care center ready for serv the Grammarly premium users by callback and email. Finally, It’s very interesting that Grammarly premium purchaser if not satisfied to use that, then he/she will get refund 100% of purchase price. So if we use the free version of Grammarly, we can’t know details about the use of Grammarly. Grammarly tool is a very essential for all kinds of writing, it can easily check grammatical mistake of writing.Grammarly tool is free but the free version has so much limitation for this reason we should use Grammarly premium version tool for amazing writing, the premium version has no limitation.It has so many features.The premium version is not free.it has a little cost, but I appreciate to use Grammarly Premium version.Thanks. It’s a good feature. Premium plan accept is right decision. Actually free plan is nothing. Many options are not present. MS word are not supported. Not plagiarism. Many kinds of problems not solved it properly. But premium version is better than others version. Plagiarism check, MS word support & many features are easily done. 250 + grammarly different problems solved. Good grammar checker. I like it.